Posted on October 8, 2018 at 11:23 pm. 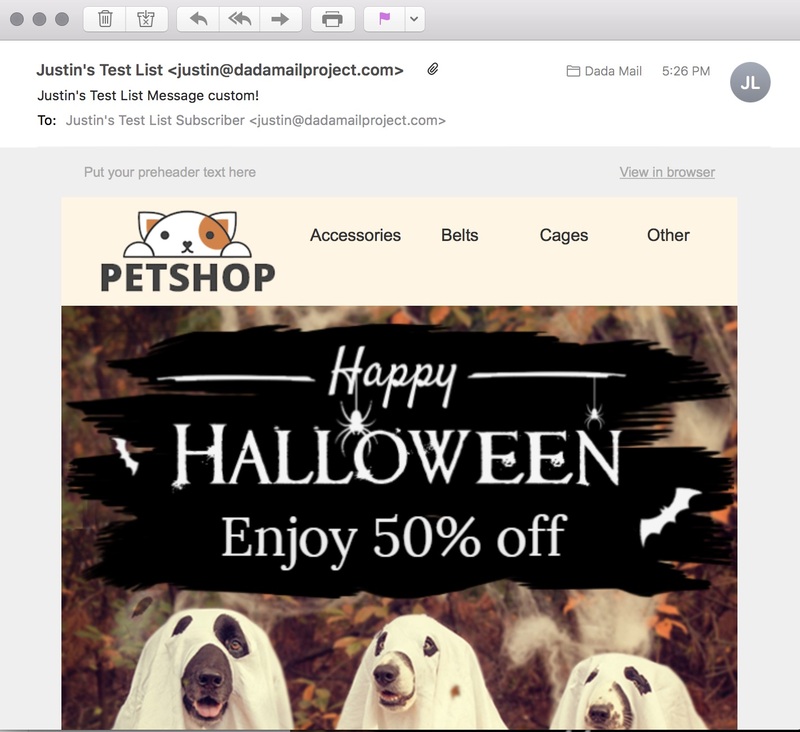 Can you use a third party email layout with Dada Mail? Absolutely! So long as you have HTML for Dada Mail to send, it’ll send it! 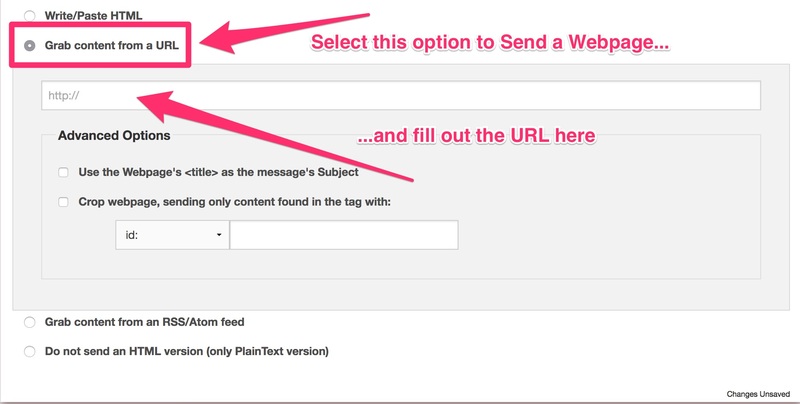 In my template, I found the link for, “Unsubscribe” and placed this tag in the, href="" parameter. Log into your list control panel, and create a new draft message. 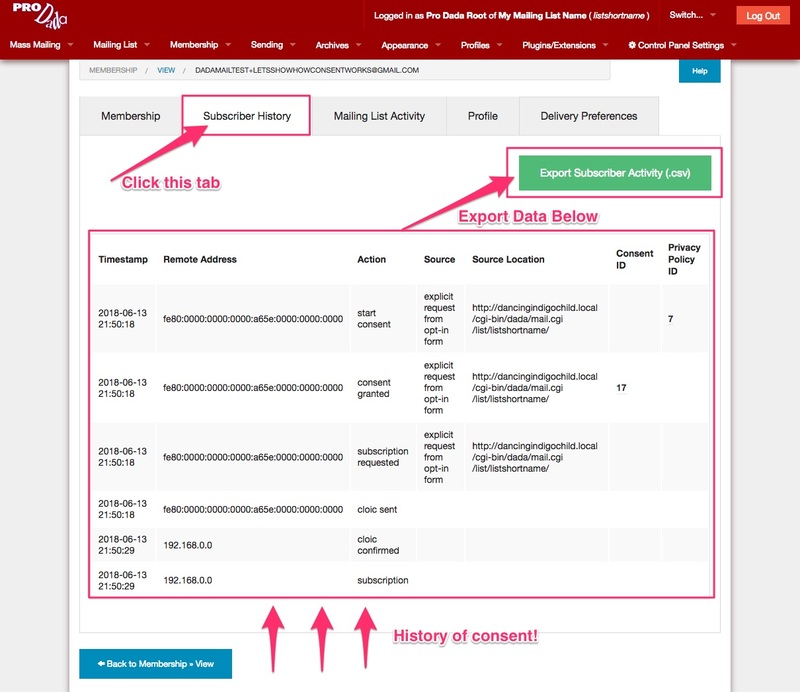 Dada Mail will add its own unsubscribe link + text, if it can’t find one in your message. So, if one is added by Dada Mail, it may be because the one you tried to add didn’t work correctly. 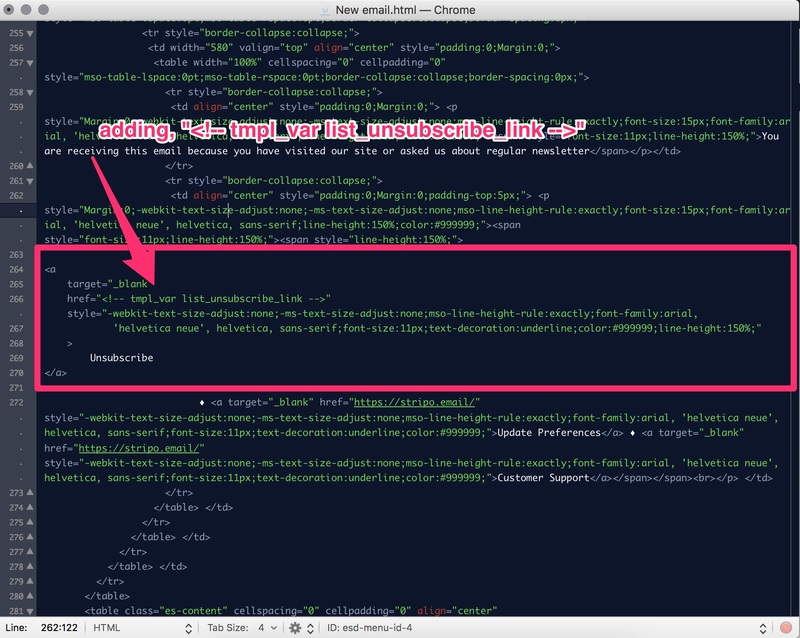 Make sure css is already inlined. 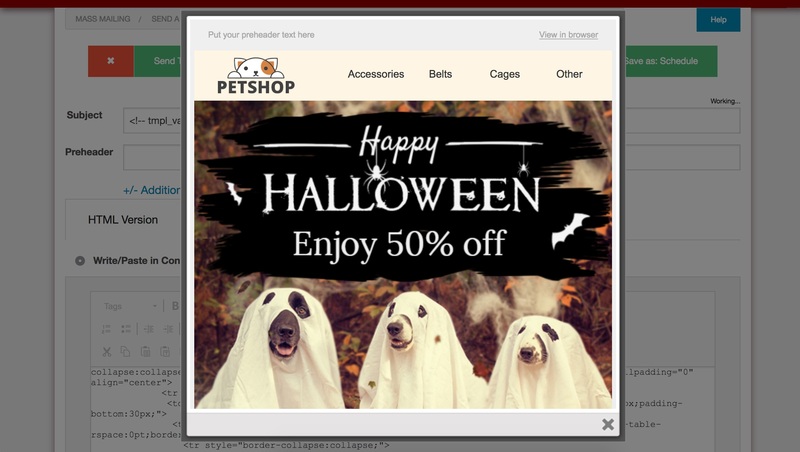 Dada Mail won’t do this for you, when you pick, “Don’t use a layout” in the Layout Options. There’s online inliners to help you (example). 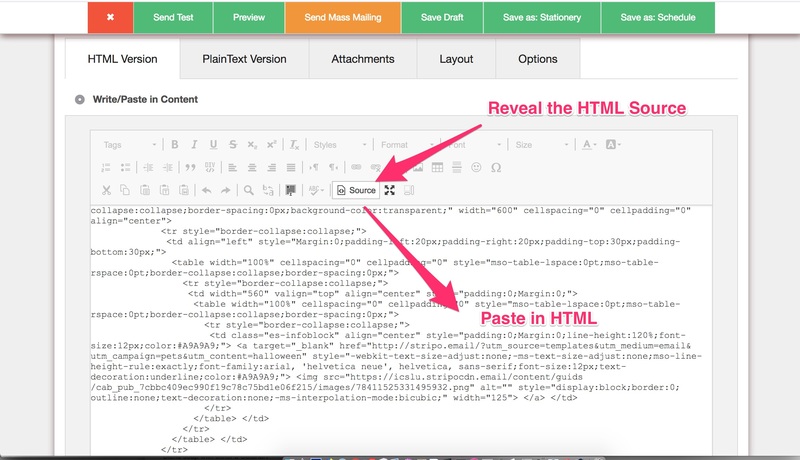 Just paste the HTML you’re using in these tools, inline it, copy the results, then paste those results into Dada Mail. If you’re going to use an outside template/layout often, consider disabling the rich text/WYSIWYG editor. This will speed up pasting in the message itself. 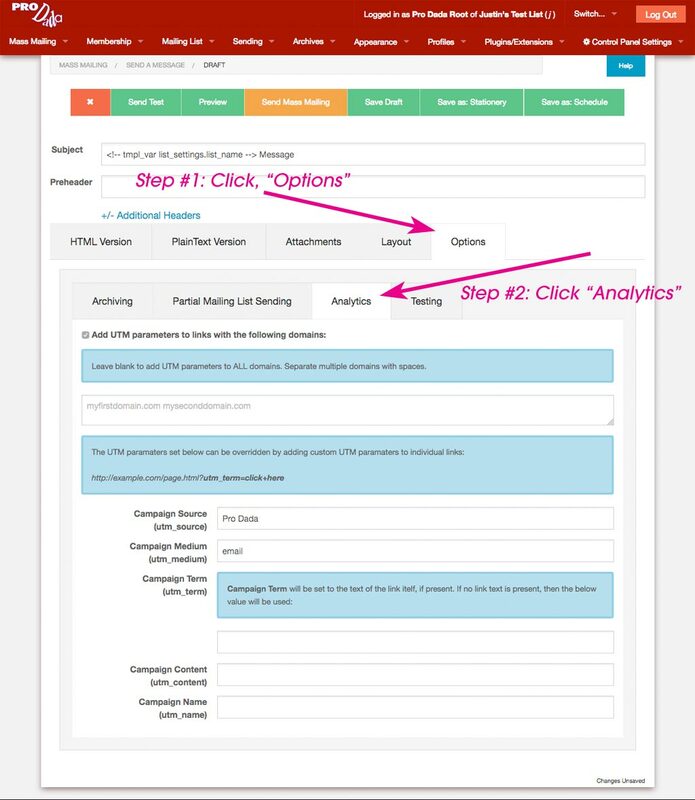 In the list control panel, go to: Control Panel Settings: Options. Under: WYSIWYG Editor Options, Select: Don’t use a WYSIWYG Editor. Posted on September 4, 2018 at 4:57 am. Dada Mail v11.2.0 is out the door! Being a feature-rich release, there’s a quite a few things to go over. 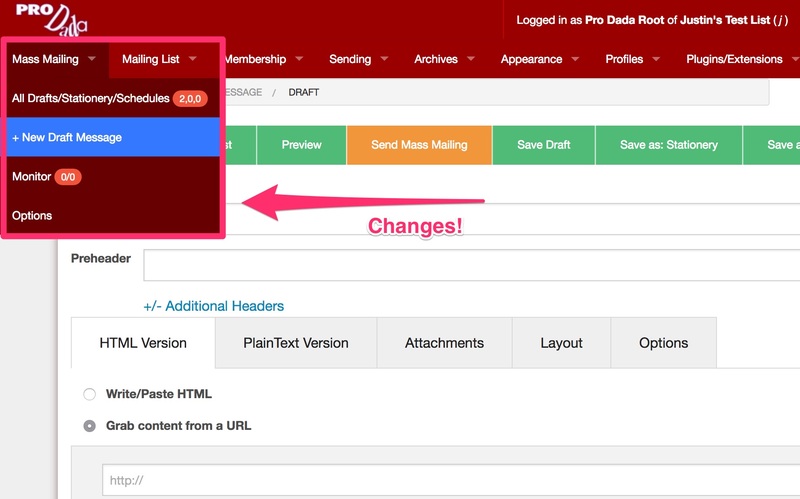 Below will expand upon the changelog to help you discover the new features in Dada Mail. Dada Mail v11.2.0 is the first release to remove the Send a Webpage screen since it was introduced many, many years ago. Please don’t worry though, ALL the features found within that screen have been folded into Dada Mail’s Send a Message screen. We’re hoping that this design change helps simplify how and where you can go from within the list control panel to create a message. Look below the rich text editor for additional ways to create a message. One small, but important change you’ll also discover is a simple check for any unsaved changes. If you do navigate away from the, Send a Message screen with any unsaved changes, a prompt will alert you about this, and give you a choice of canceling the navigation. Drafts/Stationery/Schedules now reads, All Drafts/Stationery/Schedules. This screen is where you would select the draft message you would like to work with. This screen is also the default screen you’ll see when you log into your list control panel. 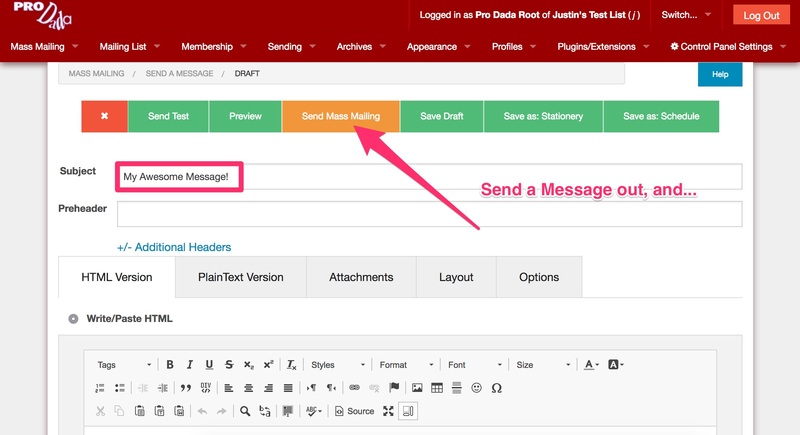 We’re hoping these changes help simplify creating and working with multiple draft messages. The All Drafts… has a few changes itself. The biggest one is the inclusion of a, Preview button, so you can see and compare draft messages, without having to go to the Send a Message screen! Both Send a Message and Send a Webpage aren’t listed. Instead a new menu item reads, + New Draft Message. 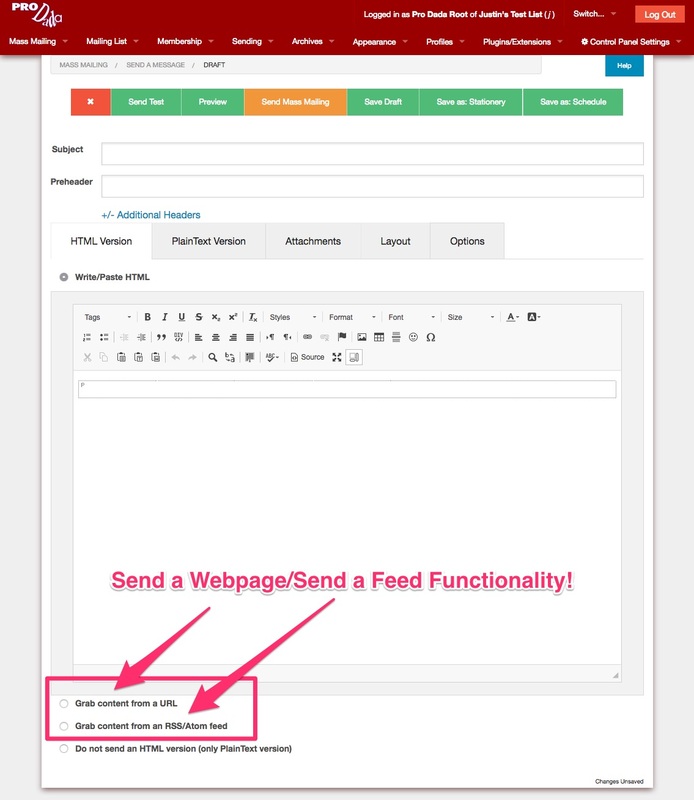 Clicking on this menu item will take you to the Send a Message screen, and will always create a new draft message, rather than loading an already-existing draft message. 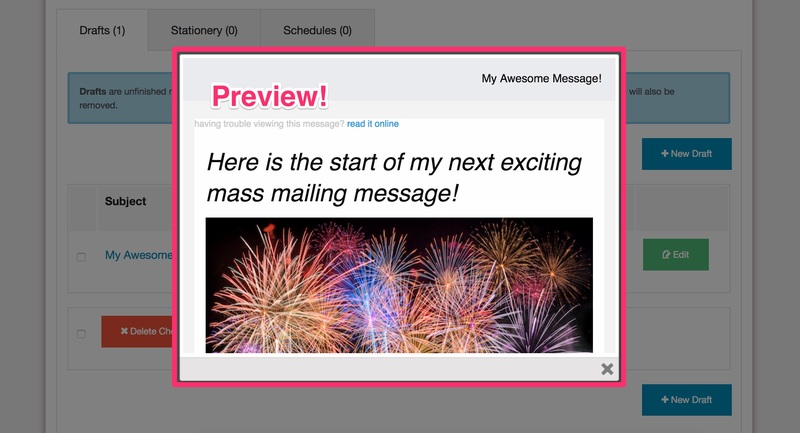 new stationery messages, which you can then use to create a new draft message from. Once logged in, go to, Mass Mailing: Options. 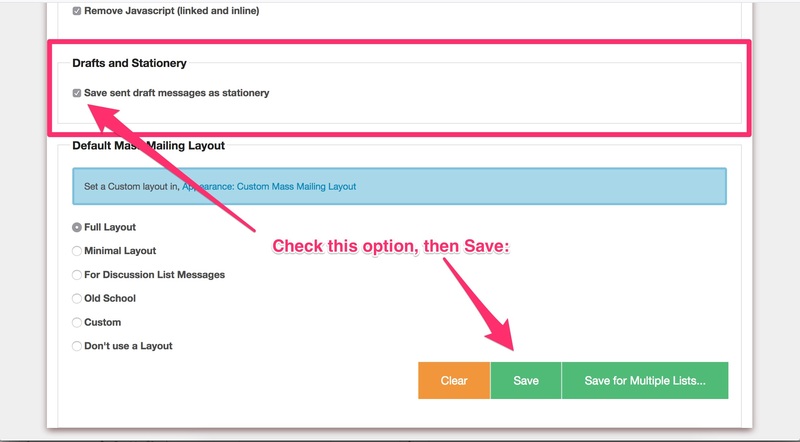 Find the option labeled, Save sent draft messages as stationery. Check that option to enabled it, then Save. 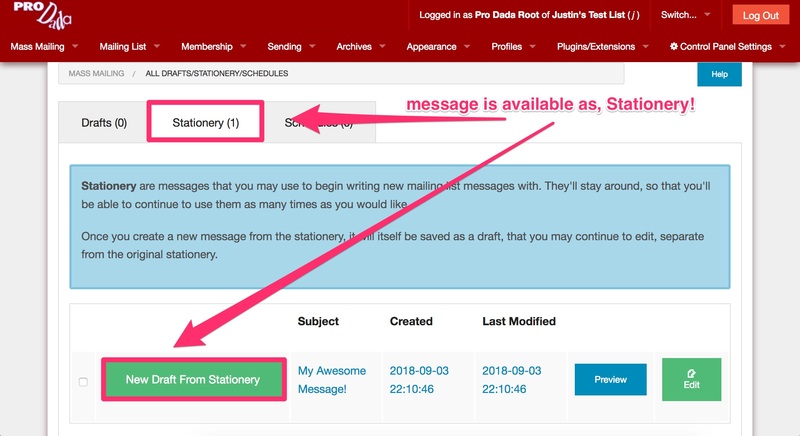 Drafts messages sent from the, Send a Message screen will now be saved as Stationery, able to be re-used for a future mass mailing message draft. Discussion List Owners have reported that sometimes there’s one problem domain with important list members, who have an uncooperative mail server that seems to bounce back messages coming from the discussion mailing list. If the bounce handler is installed, eventually these members will be removed from the list, even though their address is valid. Ugh! 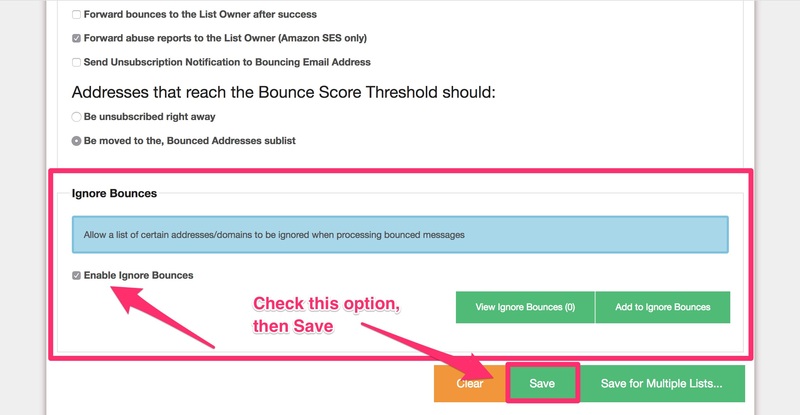 Navigate to, Plugins/Extensions: Bounce Handler (the Bounce Handler will need to be installed and configured). Check this option, and Save. The Ignore Bounces sublist works similar to the Black and White lists, where you can either enter in a specific address, or just part of an address. For example, adding @important-domain.com will direct Bounce Handler to ignore all addresses bouncing from from important-domain.com. Adding steve@ will ignore any email address with, steve in it, like steve@another-domain.com or steve@third-domain.com. If these features sound awesome, give v11.2.0 a try! If you need help with installation or upgrading Dada Mail, check out our install/upgrade services! And please, let us know how Dada Mail is working for you! Posted on August 8, 2018 at 3:57 am. The purpose of these forums are for Dada Mail users to help each other in getting the most out of the app. Post away! Posted on July 11, 2017 at 10:34 pm. SparkPost is a new Email Delivery Service. 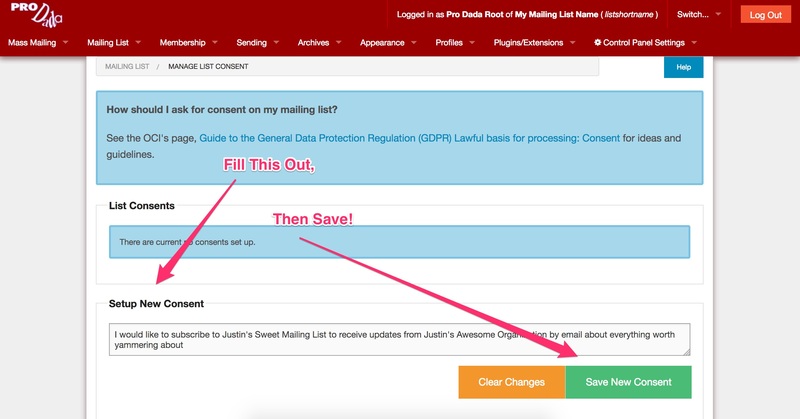 In this post, I’ll go over how to set up Dada Mail to utilize it. Using a third party email delivery service is a GREAT way to cost effectively support large mailing lists, without having to chose a different, and perhaps more costly website hosting account just to bump up your hourly email limitations. Instead, keep your current hosting setup for your website (and your Dada Mail! ), but get more horsepower in the email sending department by using a third party email sending service. We have a list of various third party email delivery services that we curate here. One advantage SparkPost has over Amazon SES is a much easier setup. Before we get started, you may want to make sure you can connection to the outgoing SMTP server using either port 2525 or port 587. For example, my shared hosting account on Bluehost does NOT have these ports open. For Bluehost, I would have purchase a dedicated IP address to be able to use port 2525. Your own hosting account may be set up differently – double check what you’re able to do with your webhost. Posted on June 23, 2017 at 10:59 pm. Many website owners are moving their site’s configuration from http to https connections. But, when they do so, they find that their Dada Mail installs seem to become broken: images don’t show up, and no styles are applied. What to do? Thankfully, the fix is simple: all you’ll need to do is change your Dada Mail’s global configuration from your old http address, to your new https address. 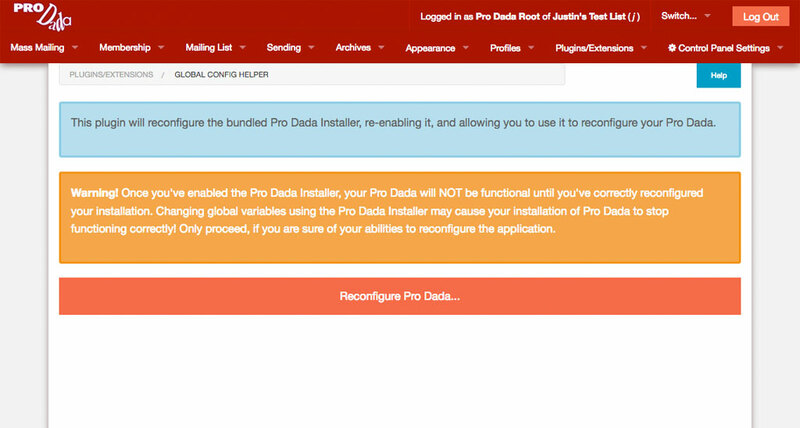 The easiest way to do that is to use the included Dada Mail installer and the easiest way to set up the installer to work is to use the Global Configuration plugin. 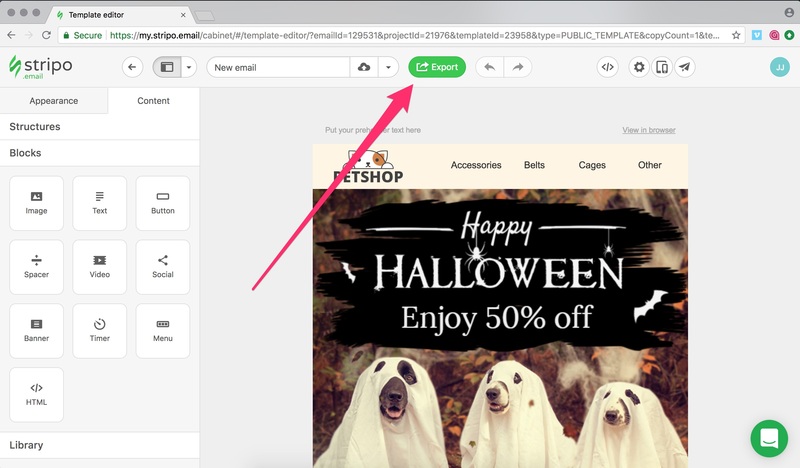 Hopefully, you can do this before you switch over to https, as everything will work well – but don’t worry, it’s also possible to do this after switching to https. We’ll go through the other way, as well. Once pressed, you’ll be returned into the Dada Mail installer, where you can make the chances you’ll need. Of course, the Dada Mail install allows you to make many different global configuration chances, so it’s pretty useful outside our task for today! Be careful though, since you can misconfigure your installation, which you definitely do not want to do. 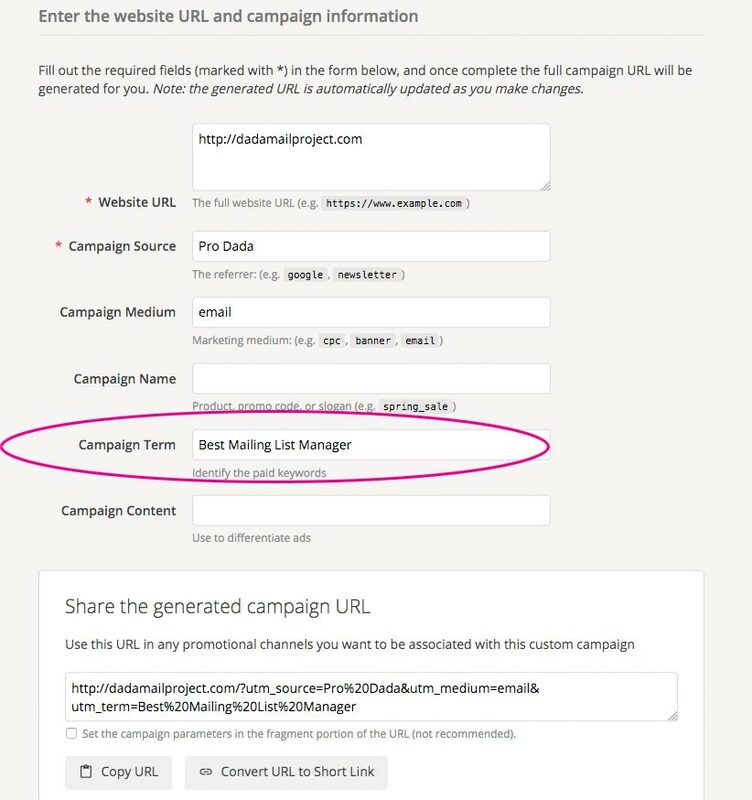 Simply change these variables from their http version to their https version, click, “Configure Dada Mail/Pro Dada”, finishing the installation processs – and you’re done! Then, repeat the process above. And that’s it! You’ve changed your Dada Mail/Pro Dada install from using an http connection to a https connection. Again, you can use the Global Config plugin to modify many more global configuration variables. Here are the docs on the global configuration variables available. Good luck! Dada Mail v10.5.0 Beta 1 Released: Rich File Manager Support! Posted on March 17, 2017 at 1:58 am. Dada Mail has come shipped with multiple file managers: KCFinder, and Core5 Filemanger. We’re adding a new filemanager called, Rich Filemanager (https://github.com/servocoder/RichFilemanager) which will be set as the default. Rich Filemanager is an update of Core 5 Filemanager, which has shown a slowdown of development and is listed as, “deprecated” by its developer. We are not yet removing support either of the two current file managers, so if you’re happy with them, keep using them!